This happens to us every Autumn, we have a fantastic summer of going to the beach, picnics and BBQ's then Autumn appears suddenly as if we didn't expect it to happen and we go into hibernation! We can't remember what we do when its cold and wet and how we keep the kids entertained. 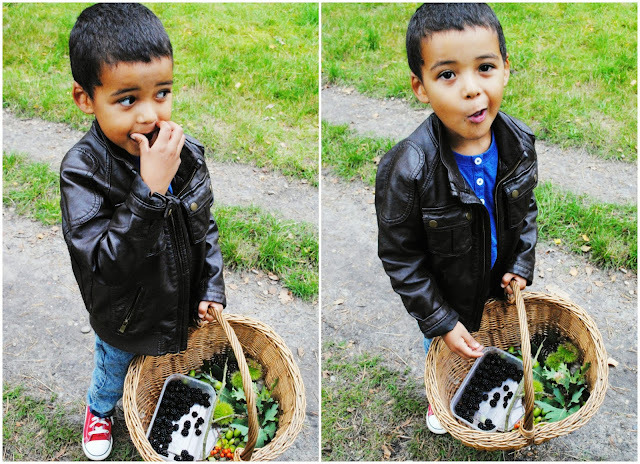 So this weekend we decided to snap out of it, its still pretty mild so decided to go blackberry picking, we've left it a little late so it was slim pickings (its just dawned on me this second that this is probably where the phrase 'Slim Pickings' originated! Something to do with harvesting! I thought it was do to with end of sales at Topshop! Hehe!) 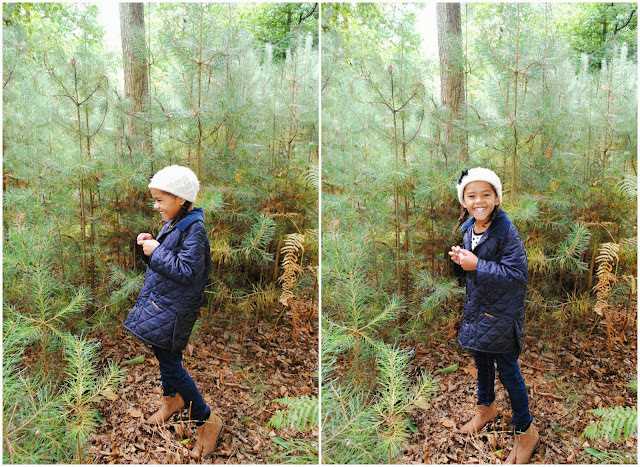 We picked as many as we could find and spent the rest of the time collecting acorns, pine cones and fallen chestnuts for the kids to make their own mini forest when we returned home. They loved it and were excited to get started on their own forest, we did have further plans for later that afternoon but the kiddies were content playing with their woodland finds and I got stuck into making a Blackberry, Apple and Sultanas Crumble that we didn't bother with them, such a lovely little stroll in the forest.